About Tinky « What's a Girl to Do? Tinky “Dakota” Weisblat writes about food, history, popular culture, and gender. She is the author of The Pudding Hollow Cookbook and blogs regularly about food at In Our Grandmother’s Kitchens.. She has many projects in the hopper as well … and if you read this blog you’ll learn more about them. She is also a singer specializing in American popular standards. 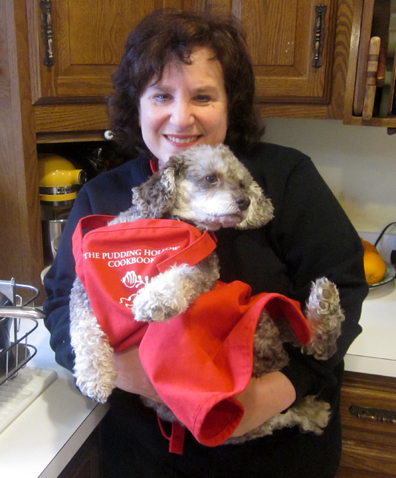 Tinky lives with her adorable dog Truffle in Hawley, Massachusetts, and Alexandria, Virginia.